The Seaham Harbour and Dawdon Parish are committed to welcoming people into our community churches. We encourage anyone to get in touch who may be interested in finding out more about the love of God, our churches and services. Your wedding day is naturally very important to you and is something which we pay great attention to; it is the beginning of your new life together as Husband and Wife. 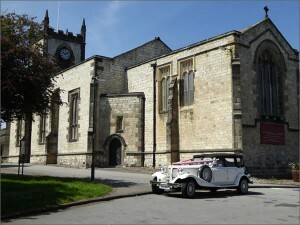 Many couples have been marries at St Johns Parish Church and it remains what many consider a beautiful venue for weddings to take place. To arrange a wedding or if you require reading of Banns please come to St Johns Church during office hours (noted below) when all of the necessary arrangements can be made. Our aim is to make this important day special. 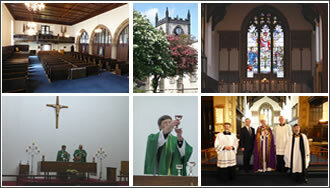 We are delighted that you are thinking of getting your child baptised at St. John’s or All Saints Church. Your child is precious to you and to God. At baptism you promise to raise your child to know that God loves them, and to help them to follow Jesus as a member of the Church. Thanking God for his gift of life. Making a decision to start your child on the journey of faith and asking for the Church’s support. 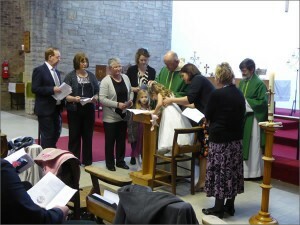 For your child, baptism marks the start of a journey of faith, which involves turning away from all that is evil, turning towards Christ and becoming a member of the local and worldwide Christian family. Death either sudden and unexpected, after an illness, or at the end of a long life, will cause the family and friends of the deceased to experience grief, sadness, perhaps anger, doubt or confusion and a sense of helplessness. All these emotions are natural and to be expected at such a difficult and painful time. Our priests and church family pray for the sick, the dying, the deceased and the bereaved every single day. If there is someone close to you who is dying or has died who you would like us to pray for, along with you and your family, or if you would like someone to talk to please contact us. As Christians we believe that death is not the end, but the beginning of a new and potentially greater life in Gods nearer presence. To be united with God is our prayer for everyone. Even though it can be an extremely difficult time for you when a relative or someone you care for dies, there are a number of things you have to do. The government website https://www.gov.uk/after-a-death/overview provides details of all the steps involved. 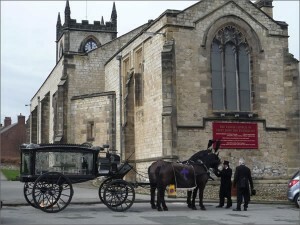 When you are ready to arrange a funeral and would like to hold the service at either St Johns or All Saints Churches, do contact our clergy team to make arrangements. Your Funeral Director will also be able to advise you. Arrangements for Baptisms and Weddings (inc.Banns) can be made on Saturday mornings between 10:00 and 11:00 at St. John’s Church.